How to spend a 24 hour stopover in Panama City! 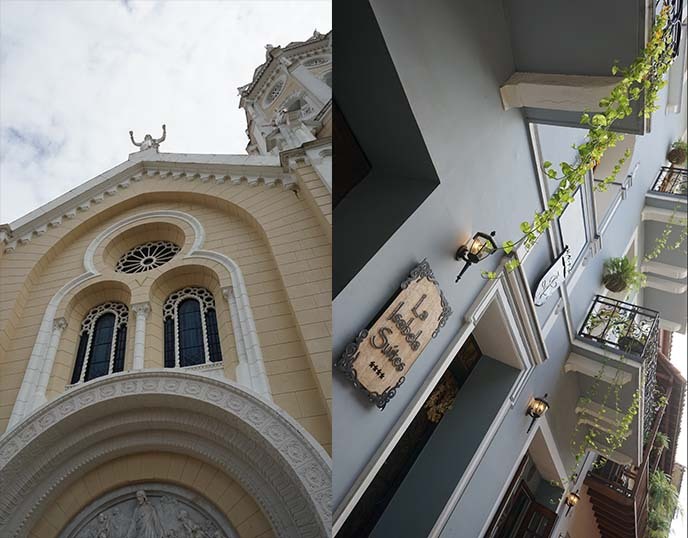 Sortis Hotel & Manabi restaurant, Casco Viejo historic district. Say yes to travel. Always! When I realized I could do a free 24-hour stopover in Panama City, I immediately chose that flight. 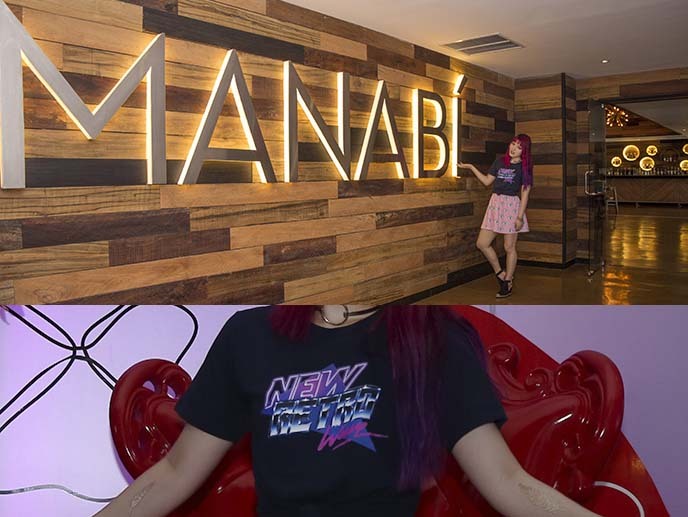 Even though I only had a brief time in Panama’s capital, I got a nice taste of the culture, food, architecture… and it’s something I’ll never regret. I had to fly through Panama, on my route between Dominican Republic and Cuba. I realized I could book a flight with a long connection time / stop-over, which allowed at least 24 hours to get out and explore. It didn’t cost extra, and it was a better option than hanging around the airport for over 6 hours… so why not? But first, a quick announcement. I’m back in San Francisco in early March with friends! 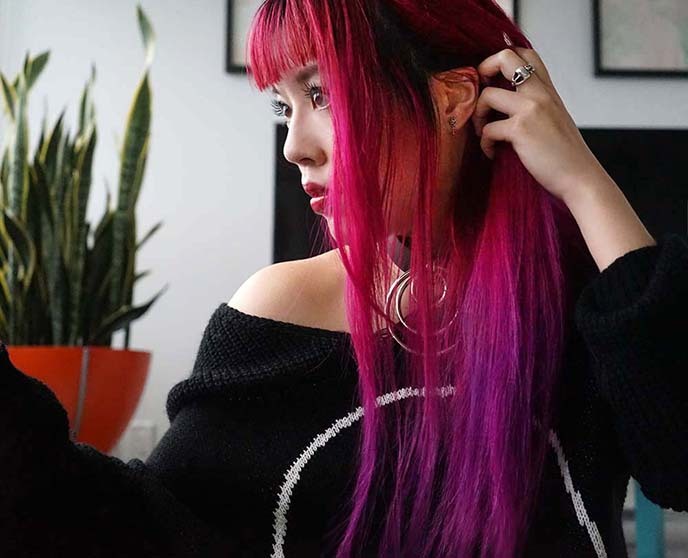 We’ll be hitting up the synthwave party Turbo Drive (with a performance by retrowave artist Danger), as well as the infamous Goth night Death Guild. If you’re in SF, come out and dance with us. And now, back to my Central American stopover story. Some cities are better for layovers than others. Panama City turned out to be a great one — because Tocumen International Airport is only a 30 minute drive from downtown Panama City. 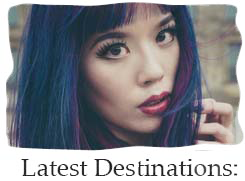 If you have limited time in a destination, I recommend booking a hotel that is centrally located. I stayed at Sortis Hotel, Casino and Spa since it was right in the bank district, and near the waterfront and famous sites. The staff arranged private car to pick me up from airport Arrivals, which helped me to save time and keep my trip as seamless as possible. 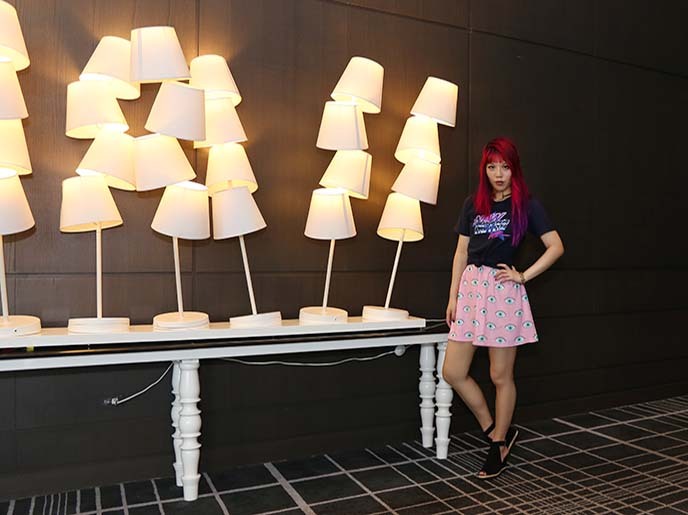 Sortis Hotel’s hip decor matched my pastel-Gothic vibe. 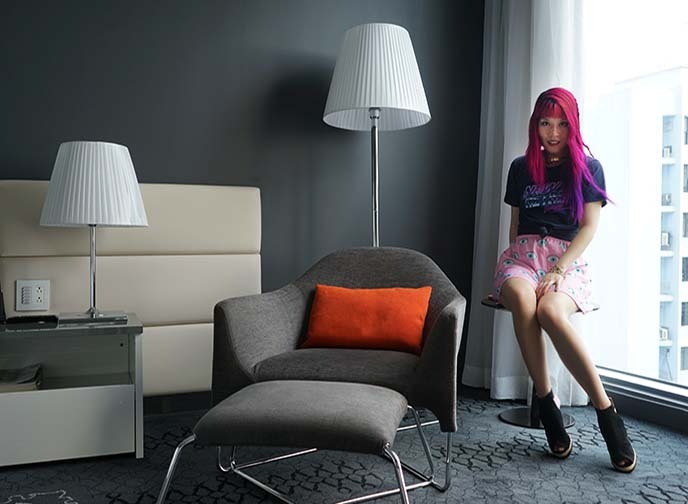 They’re part of the boutique design hotels collective, Autograph Collection, meaning you can expect luxurious, modern accommodations and service. I arrived in the evening, so I was glad to spend time under the waterfall shower and then curl up for bed. 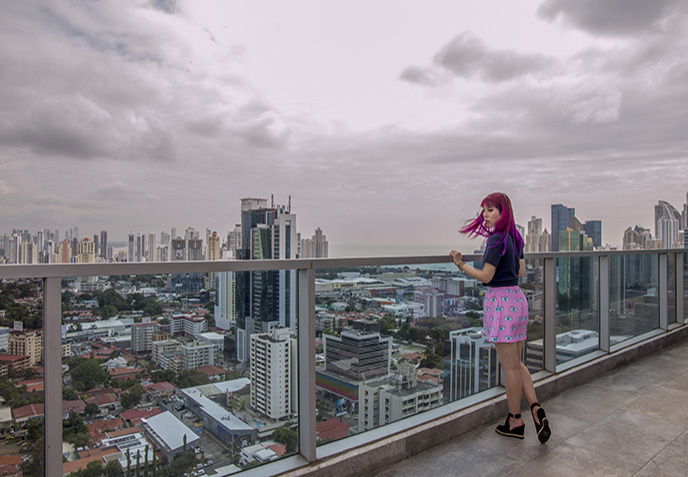 Sortis’ rooms are large and decorated in urban chic, with giant windows that let you wake up to the famous skyscrapers of Panama. 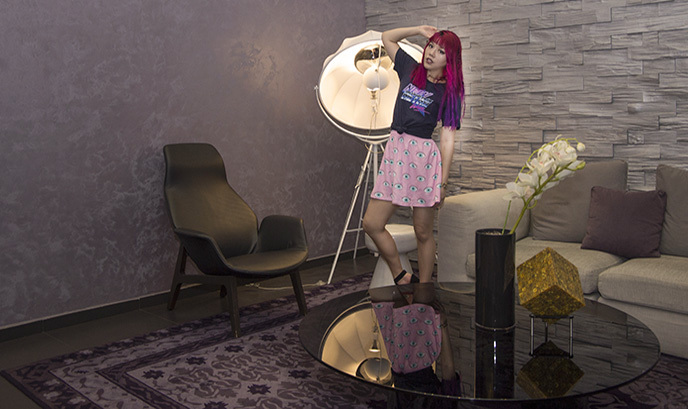 Outfit details: My velvet shoes are Le Babe, my t-shirt is Akade Wear by New Retro Wave, and my skirt is Print All Over Me by Coucou Suzette. The next day, I woke up early for the included breakfast buffet, and so that I could have as much time as possible to see Panama City before my flight in the early evening. 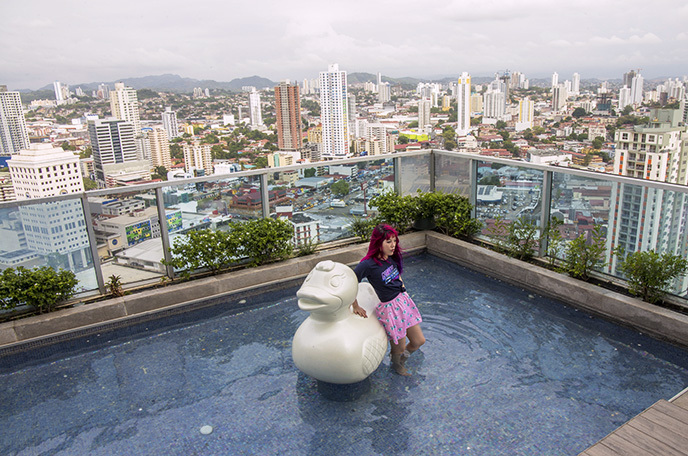 I got a wonderful introduction to Panama City on the rooftop of Sortis Hotel. 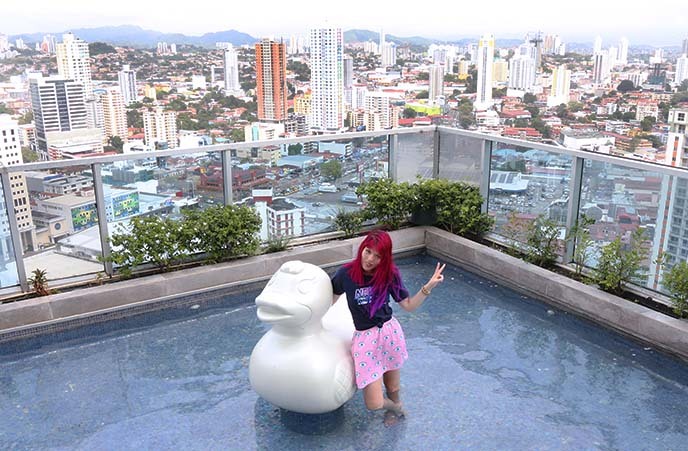 They have a panoramic terrace, and a swimming pool with a cute white duck in it! I looked out at the iconic cityscape, marked with tall silver towers. Instantly loved the vibrant and energetic environment of Ciudad de Panamá. Perhaps you might be surprised to see so many skyscrapers here. 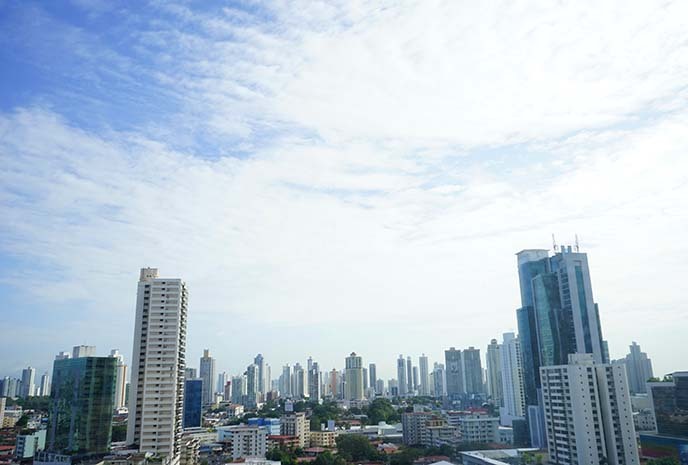 Beginning in the early 2000s, Panama City had a construction boom that resulted in dozens of futuristic high-rises. Panama City has become a major financial, tech and business center –– but it still has that laid-back, warm Central American vibe. Sortis’ inviting swimming pool, with towers and palm trees in the background, captures this mix perfectly. 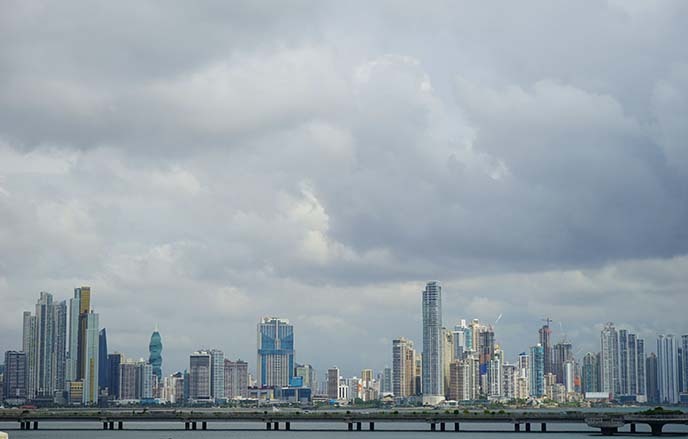 Unlike other parts of Central America, there’s also a high-end element to Panama City. I’m hanging in the lobby’s Veuve Cliquot champagne lounge. 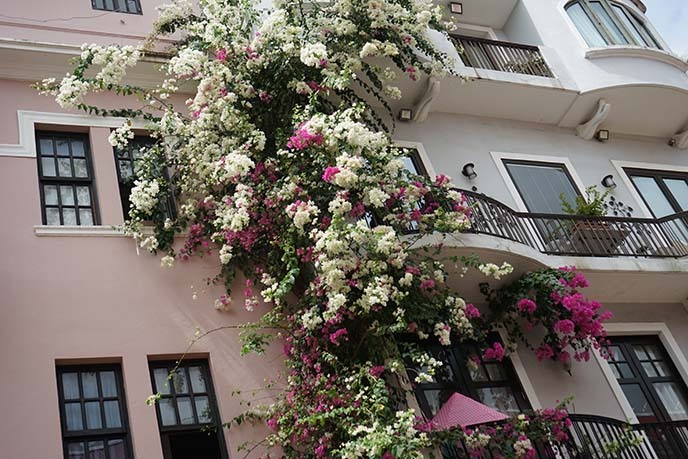 Sortis Hotel also adjoins a shopping center, and is near the new Soho Mall for luxury designer brands. If you only have a twenty-four hour stopover, be sure to take the time to try the local cuisine. 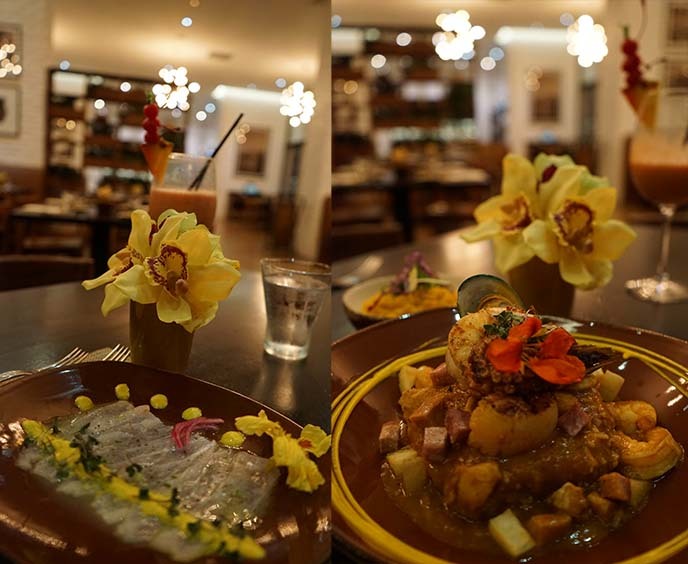 On my first night, I ate dinner at Manabi Restaurant and Rum Lounge, which specializes in Panamanian dishes. Nonetheless, I got to enjoy a tropical fruit smoothie with fresh fish ceviche, and Manabi’s hearty seafood dish. I tend to order local fish wherever I go; this time, I got to taste “corvina” (a saltwater fish from the coastal waters of Central and South America) for the first time. I ended with the house-made creme brulee with blueberries — brilliant. 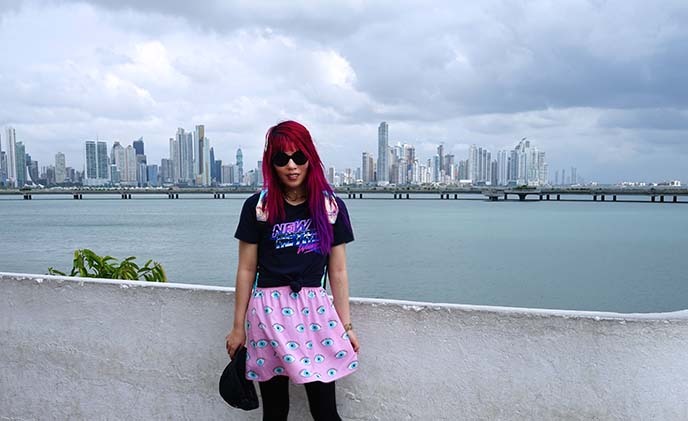 The next day, I was ready to see Panama City. Uber is quite cheap here, so I booked an UberX ride to Casco Viejo (Old Town). 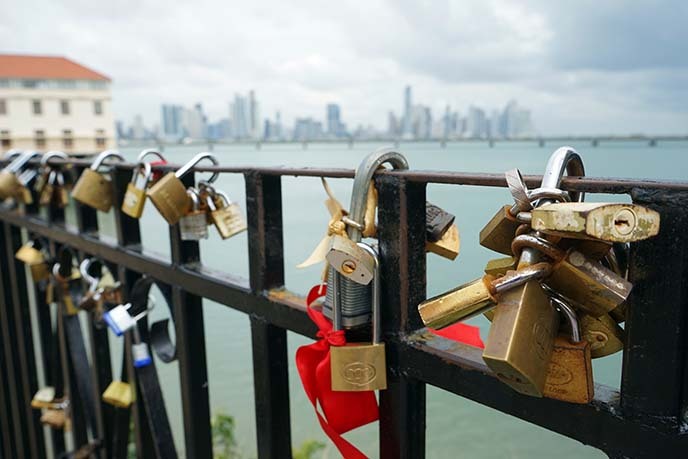 30 minutes away, you can visit Miraflores Locks, one of the transit points of the Panama Canal. There’s a history museum about the 77 km (48 mile) waterway, which connects the Atlantic and Pacific Oceans. 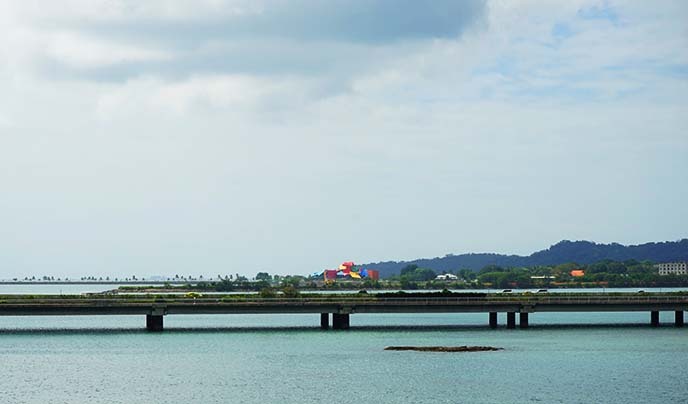 Visitors can also go to an observation deck to see vessels pass through the Panama Canal. Panama is also known for its long seawalls, which are made for strolling. I looked out at Amador Causeway, the second longest boardwalk in the city and site of museums and restaurants. 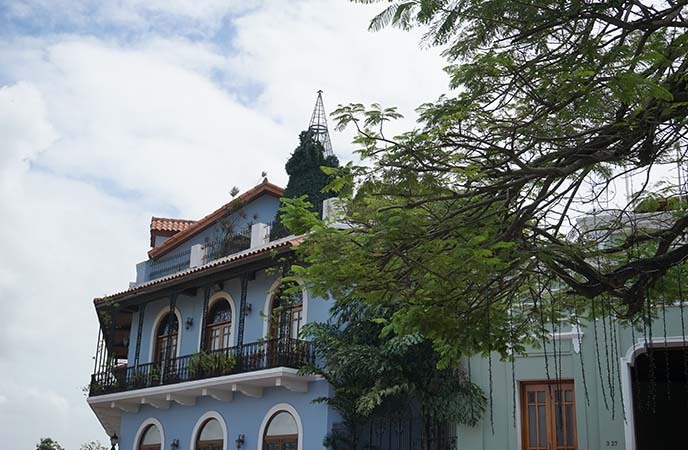 I had a limited amount of time so I stuck to Casco Viejo, the historic district of Panama City. This settlement was founded in 1673 after the previous one had been destroyed. Since then, it has survived many natural disasters and attacks by pirates, including the scurvy Captain Henry Morgan. I passed by the yellow facades of Plaza Bolivar (with a statue of Simon Bolivar in front), and cute sidewalk cafes. 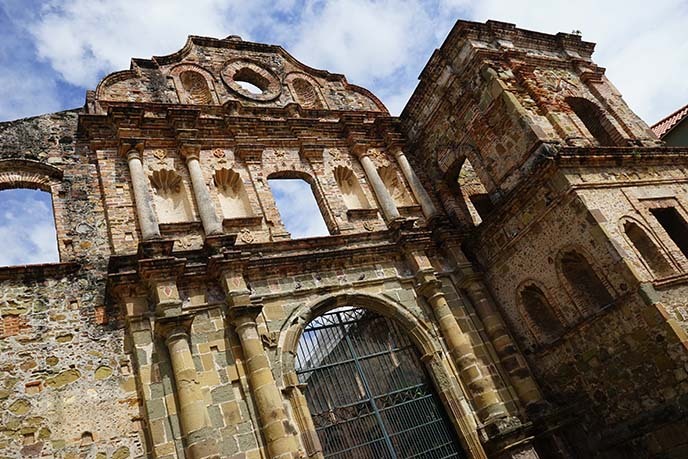 This Panama City neighborhood is also home to the archaeological ruins of the church and convent of Santo Domingo. The structures were built by Dominican Friars shortly after the founding of Casco Viejo, but burnt down in 1756 and were never restored. My favorite futuristic building was the F&F Tower, an office building not far from the hotel. I did my best to imitate the twisting green glass and reinforced concrete. 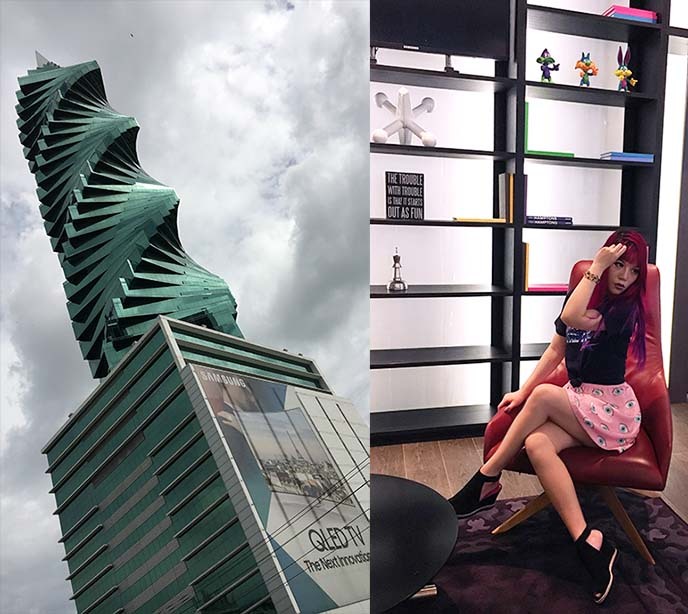 The corkscrew spiral building stands out in the skyline of Panama City. Whenever the opportunity presents itself for you to experience something new, I say “do it.” You’ll never regret seeing a new destination, and who knows when you might get the chance again. Gracias Sortis Hotel for taking care of me during my layover. 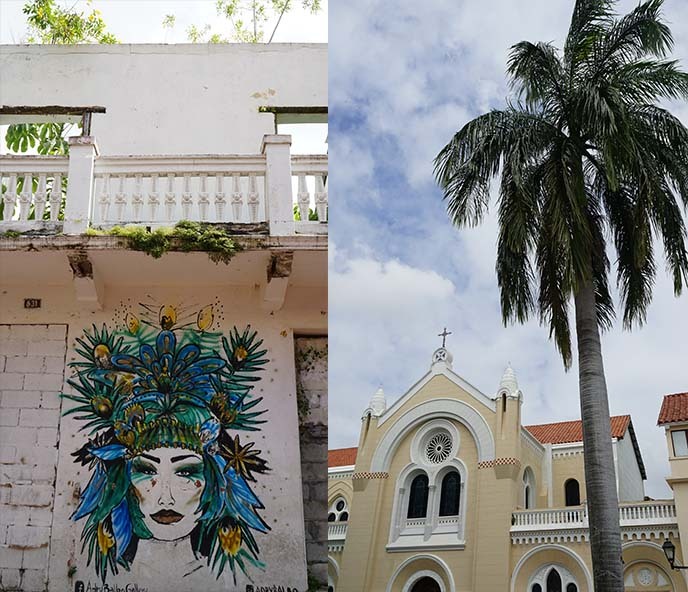 My Panama stopover was short but sweet, and makes me keen to come back to do more. PS: See everyone soon in San Francisco! 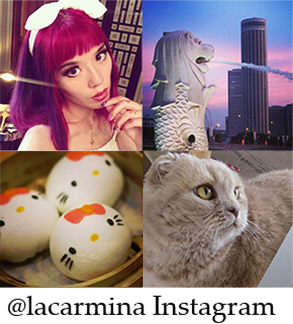 Follow along @lacarmina Instagram and Facebook to see the fun first-hand. 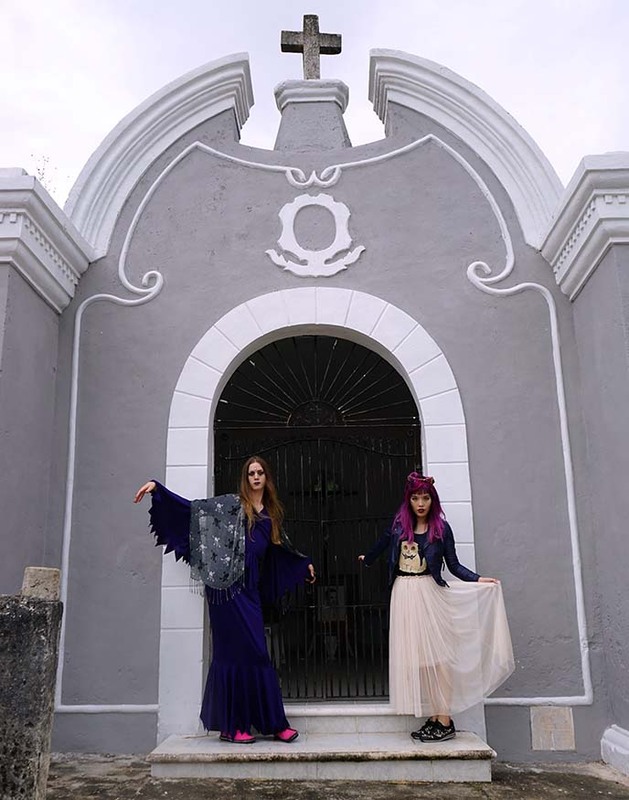 Goth Tulum! 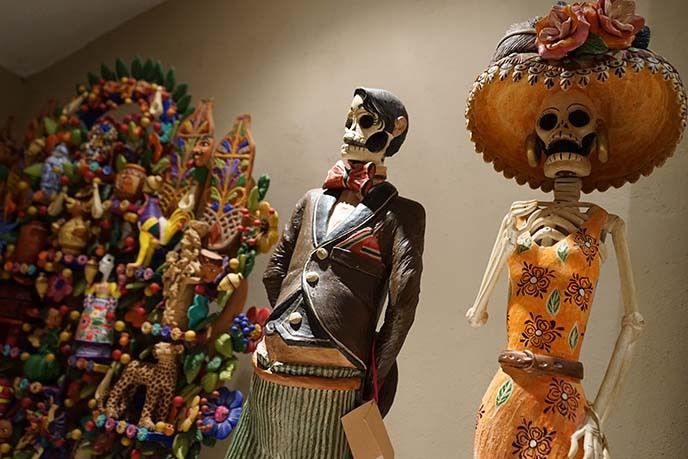 Valladolid folk art museum, sugar skulls, Mexican graveyard with Loco Gringo Tours. 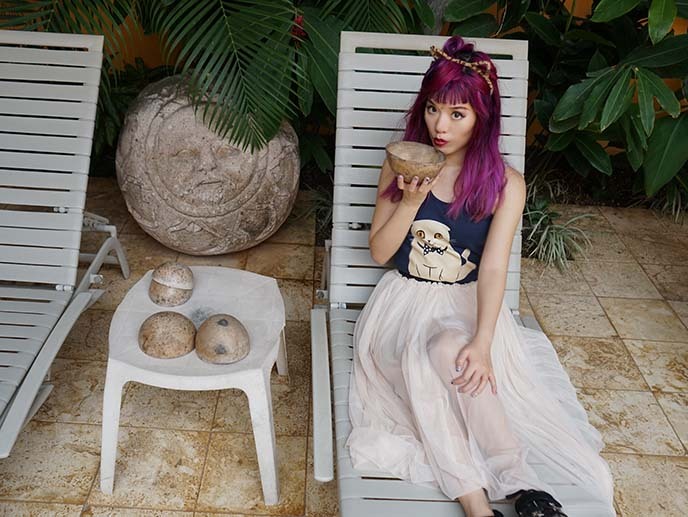 Yukiro and I enjoyed relaxing at Karisma El Dorado resort, but we didn’t want to leave the country without seeing a sugar skull or two. 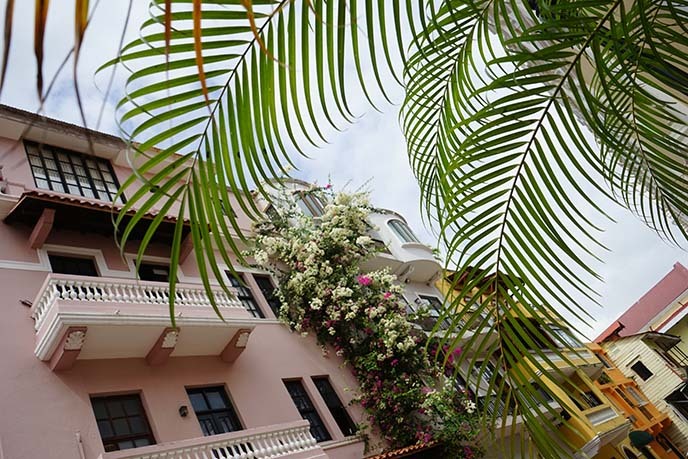 We put our trust in concierge / tour company Loco Gringo, and they truly delivered. 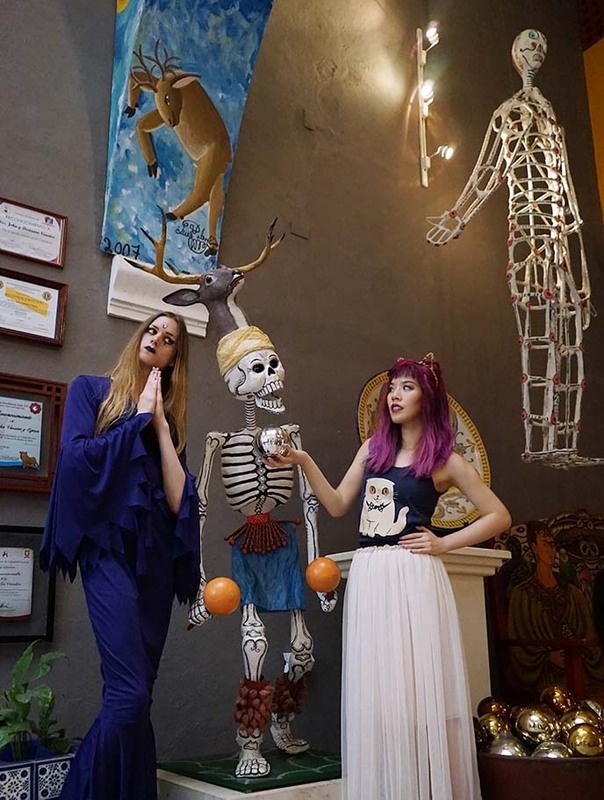 Our local guide Paulina arranged a perfect day that included a visit to a colorful Mexican cemetery, and folk museum with hundreds of Day of the Dead skeletons! Wherever in the world I travel, I seem to end up in a graveyard. 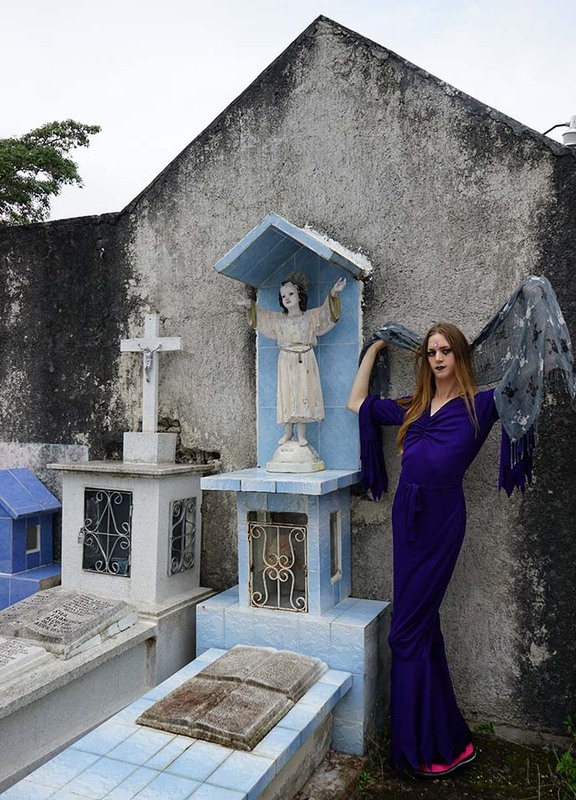 It’s no surprise that my Goth friends and I are interested in how different cultures honor their dead. 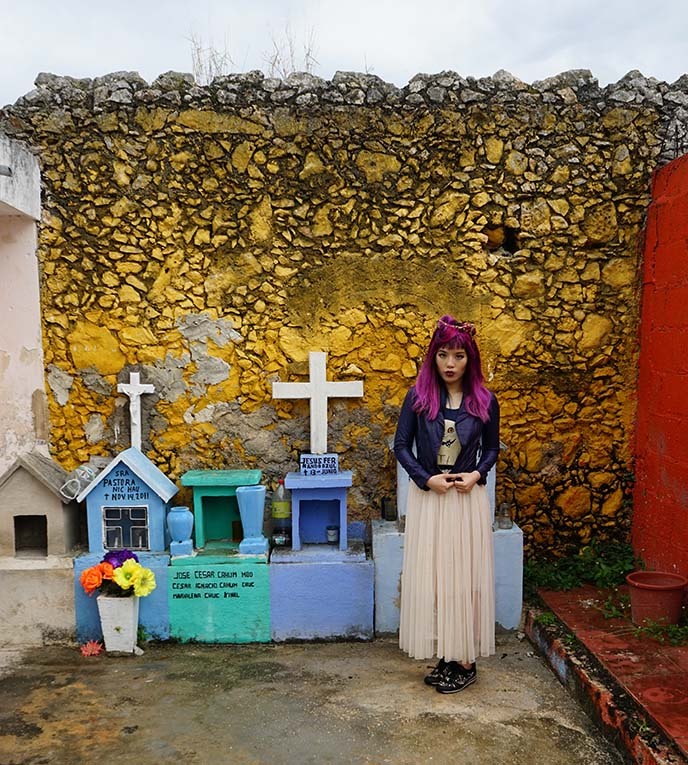 In the ancient city of Valladolid, the tombstones are painted in bright, colorful hues. 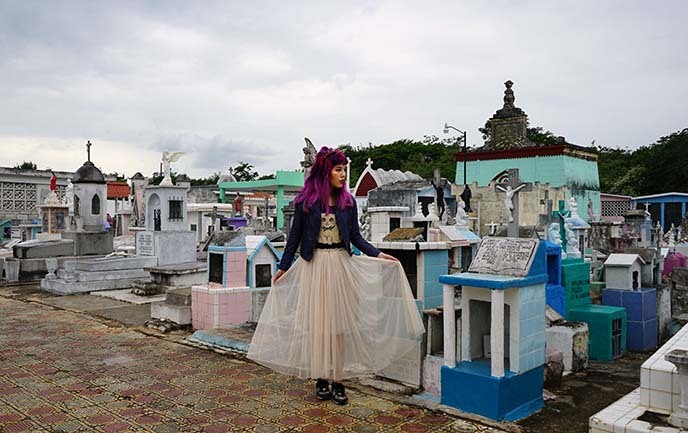 Many people think of cemeteries as fearful or depressing places. 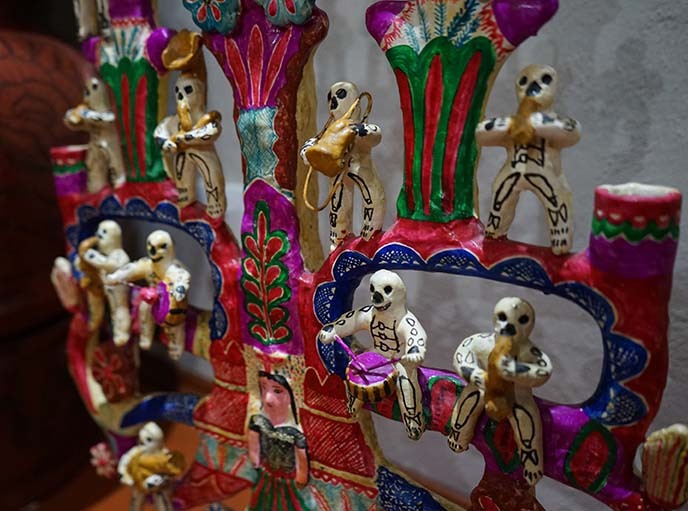 However, in Mexico, death is represented by smiling and dancing skeletons. Every year from Oct 31 to Nov 2, Mexico celebrates Day of the Dead (Dia de los Muertos) with skull facepaint, music and raucous parades. It’s believed that the deceased come back to visit during this time of the year. 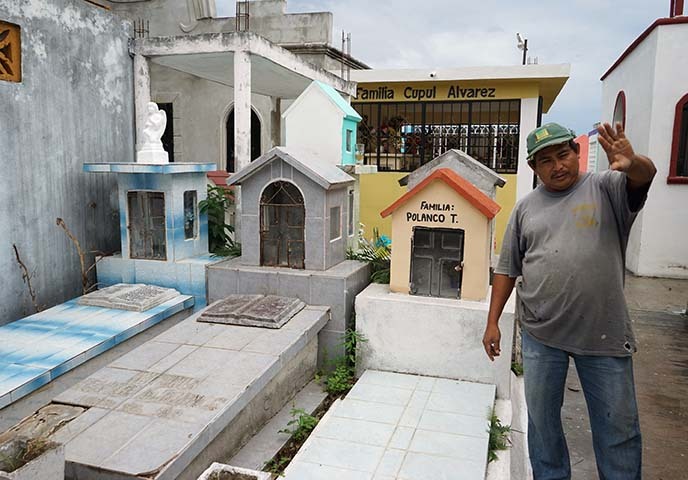 On this special day, families tend to the graves of their loved ones. They leave offerings of bright sugar skulls, flowers, and the favorite food and drink of the departed. Outfit details: yes, that’s my Scottish Fold cat peeking out from under my leather jacket! 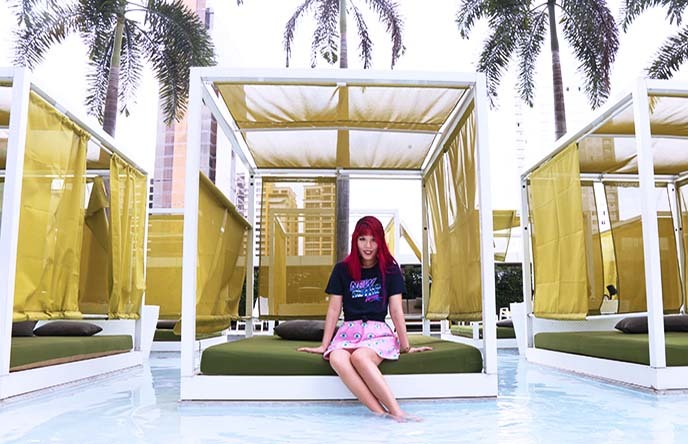 My top is a gift from illustrator Lili Chin. She makes custom pet portraits that can be printed onto shirts and other products. If you’re interested in a custom drawing of your cat or dog drawing, check out her site. 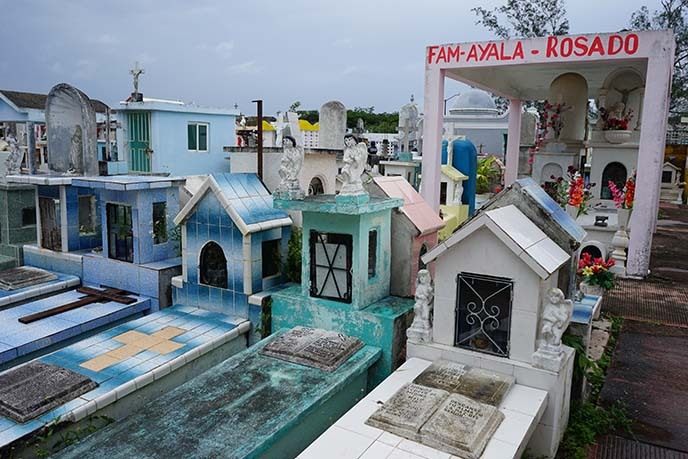 This is not your typical orderly graveyard, with plots in a row. 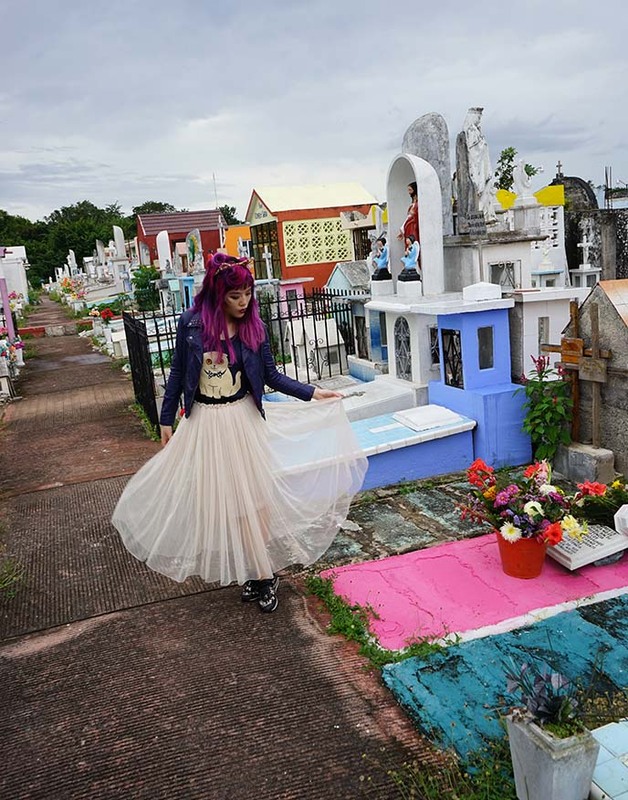 Each resting place is festively decorated in ways that celebrate the deceased’s personality and life. No two headstones were alike. 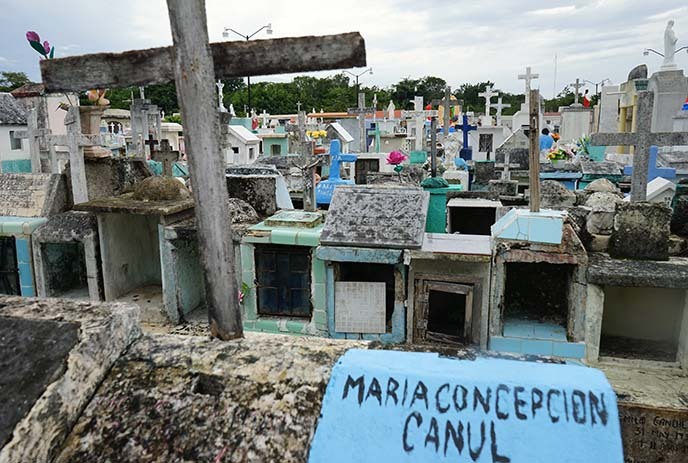 Despite being a home for the dead, Valladolid cemetery felt like it was bursting with life. These bright coffins seemed to be inviting us to join the party. 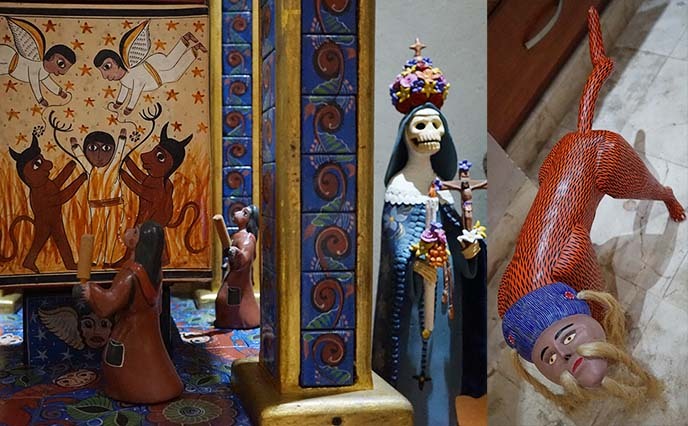 The decorative elements were a mix of Christianity and Mexican folk traditions. We even spotted a sacrificial tribute to the ancient Mayans, who once ruled over this area (Tulum and Riviera Maya). Our guide Paulina answered all our questions about these traditions. 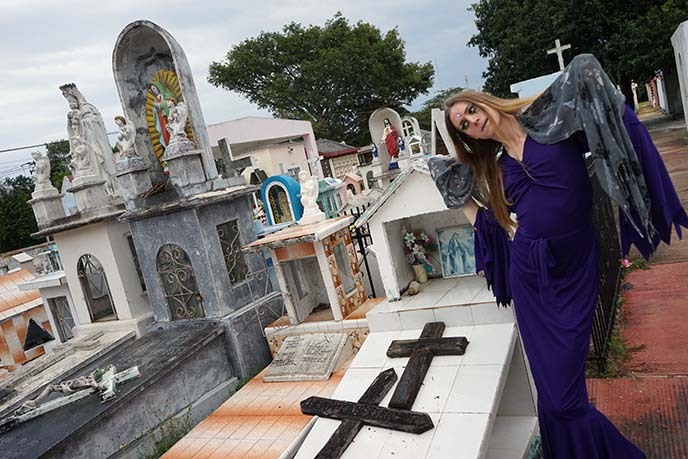 I can’t think of a single Riviera Maya tour that will take you to the graveyard… but Loco Gringo is extraordinary, and tailored the day exactly to our interests. Paulina introduced us to the “old graves-keeper” (who didn’t seem that old), and translated Spanish for us. He told us an eerie ghost story about the time he dug a grave, and felt someone grabbing onto his arm… eek! 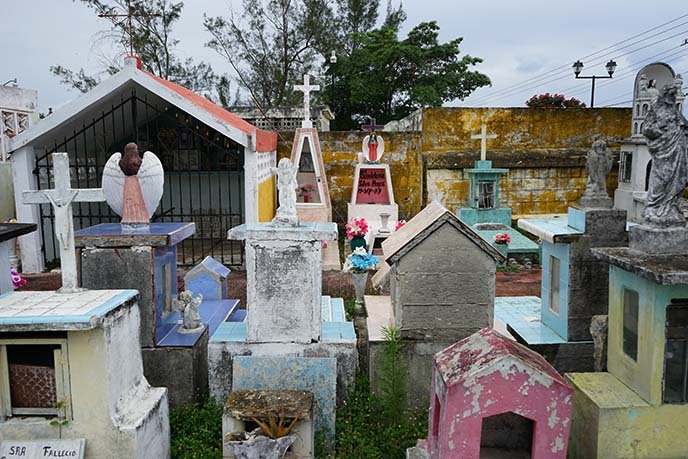 Without Loco Gringo‘s expertise, we would never have visited this magnificent cemetery. 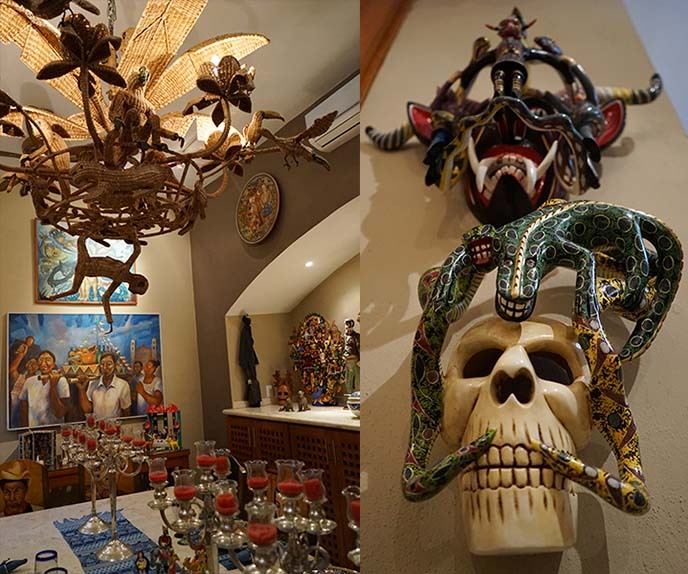 We climbed back into the van, and our driver took us a short distance to Casa de los Venados: Valladolid’s folk art museum. The name translates to “house of deer,” hence the blue man mascot with the animal on his poncho. Loco Gringo suggested that I visit Casa de los Venados, since it has the largest private collection of Mexican folk art in the world. 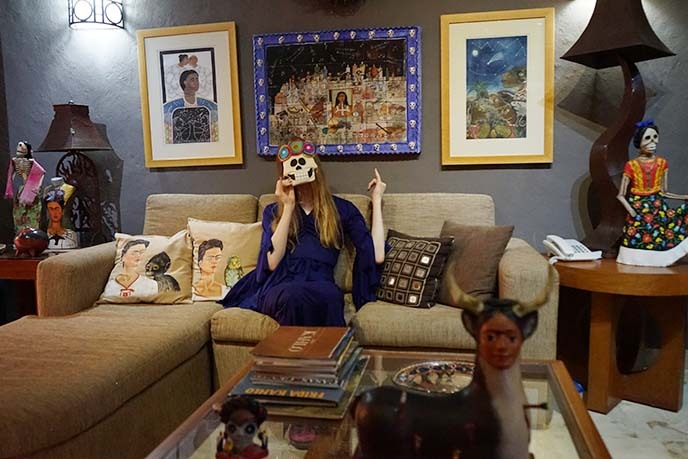 We stepped into a home that had multiple rooms and courtyards filled with fascinating works. 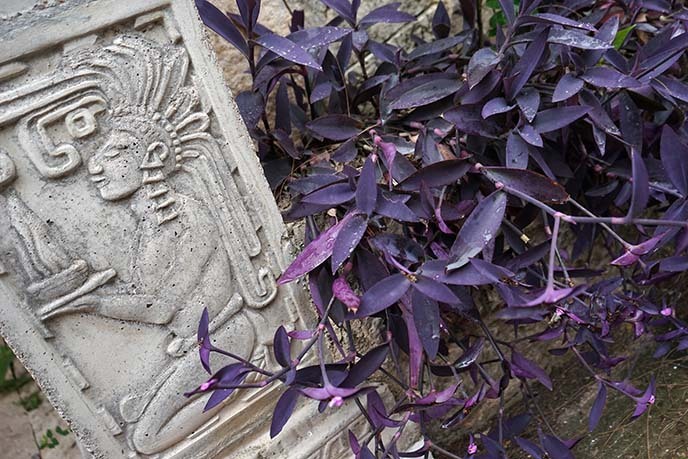 The hacienda’s owners, John and Dorianne Venator, began their collection decades ago. Today, their home has over 3000 pieces of art, and is open for the public to appreciate. The curators have a fine eye for works that reflect the history and humor of Mexico. To our delight, there was an extensive collection of spooky art. 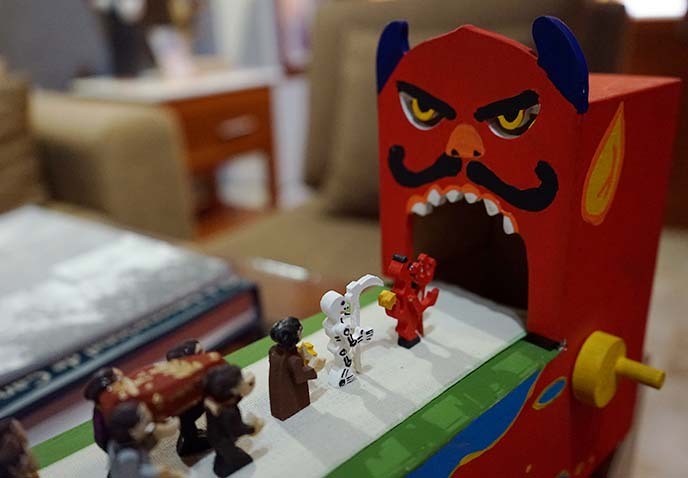 Devils, skulls and monsters — oh my! 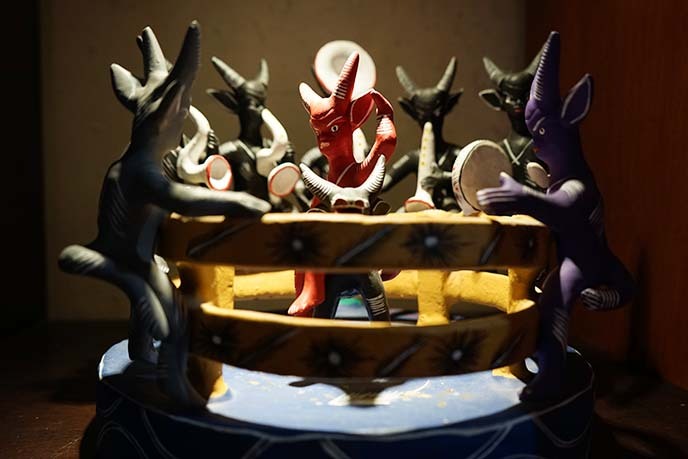 We had fun turning the dial of this toy, and watching the parade of demons, skeletons and coffins march into the mouth of Hell. 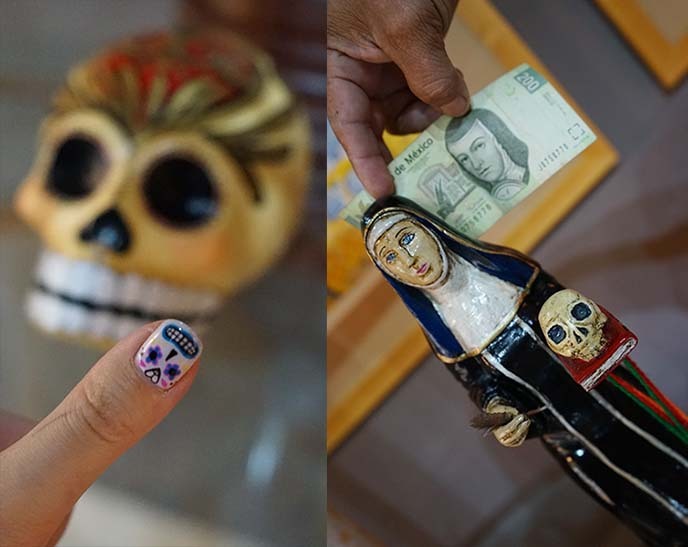 We saw many interpretations of sugar skulls (I got nail art from Glam Nail Studio to match). 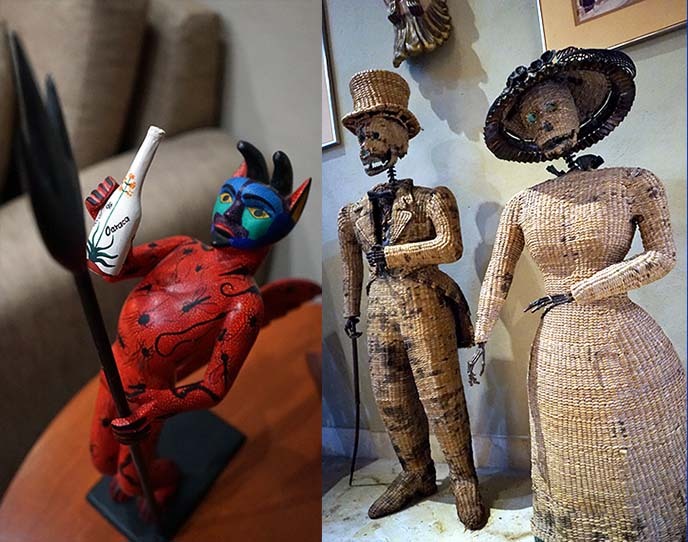 The folk art spanned all mediums and sizes, from the ancient Mayans to modern-day artists. 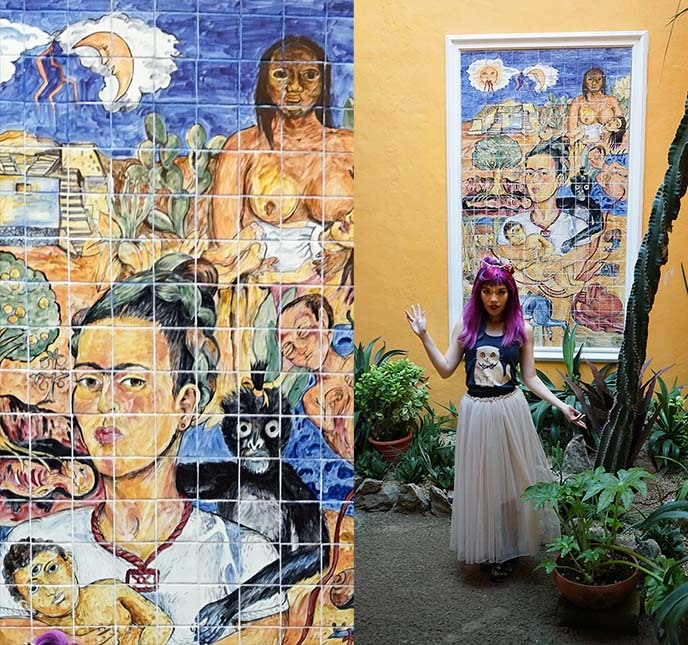 In one of the many mini-courtyards, I found a tile mural of Frida Kahlo, with a black monkey on her shoulder. Frida Kahlo is one of Mexico’s most celebrated artists, and a personal favorite of mine. An entire room is dedicated to the female painter. How many Fridas can you count in this image? 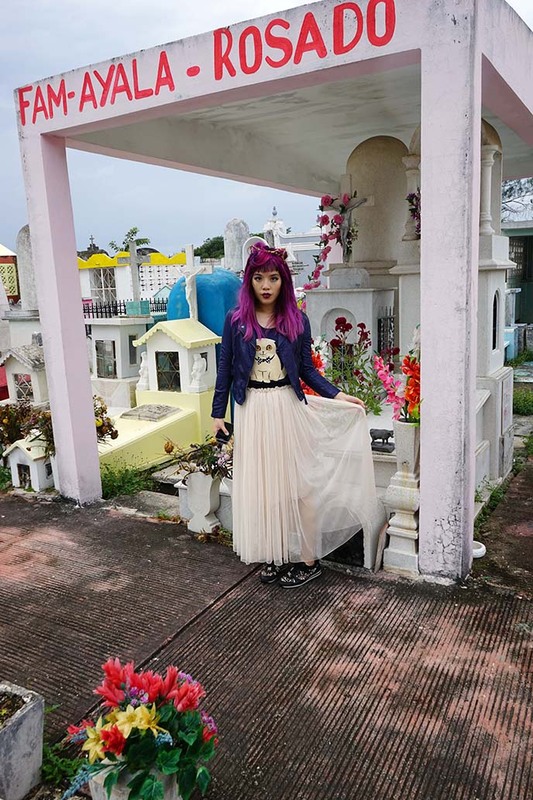 Yukiro and I had never seen so many Day of the Dead representations in a single museum. We smiled at the Calavera Catrinas, or Dapper Skeletons. First depicted by Jose Posada in 1919, these elegant skull-people are always dressed aristocratically. 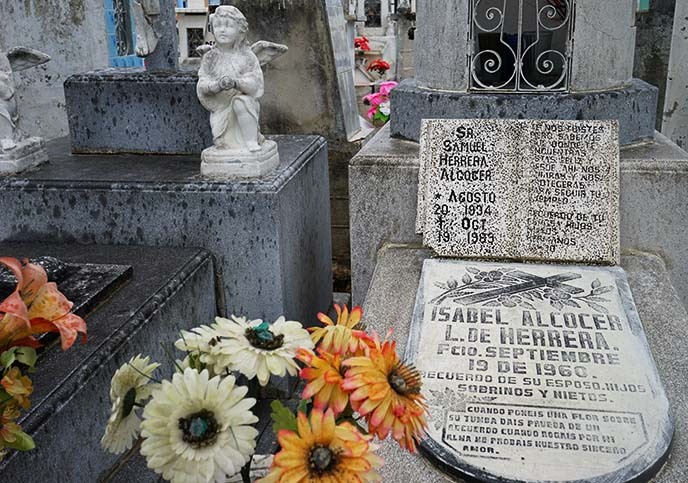 In Mexican folklore, the dead are joyful during Dia de los Muertos. I wouldn’t mind rejoicing with these smiling musicians skeletons. Even the devils like to have fun. They’re represented as cheerful, naughty creatures, rather than as beings to be feared. 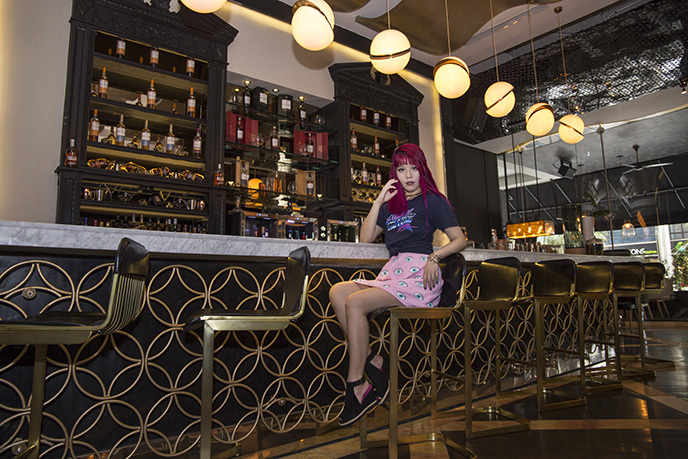 Casa de los Venados’ owners did a wonderful job in re-vamping the original house. They added a fabulous outdoor area, with a glass bridge spanning several pools of water. 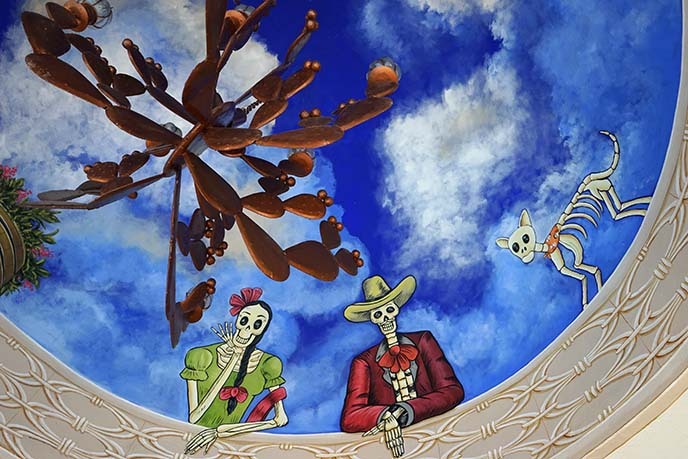 Look up, and you’ll see these happy Mexican skeletons waving at you! I thought the undead pet was a cat, but it’s actually a dog wearing a bandanna. 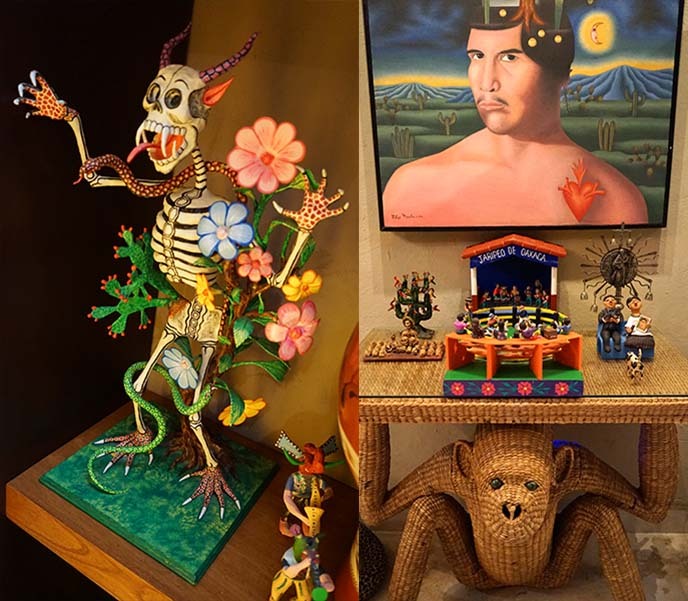 I didn’t know much about Mexican folk art before visiting this museum. It was fantastic to see so many high quality works under a single roof. Cheers to this glorious pool, fed by multiple overhead streams! I found a cat-face fountainhead to match my tank top. 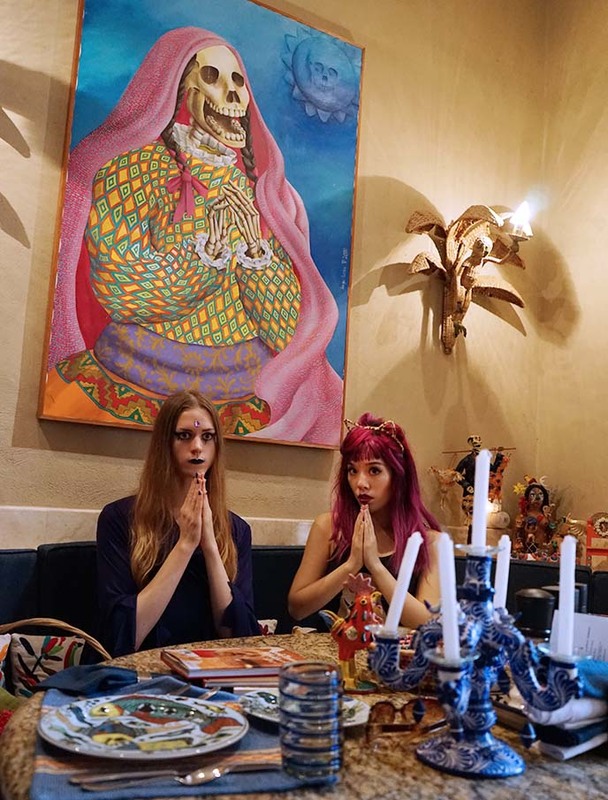 We ducked into the dining room and paid ode to La Catrina, the grand ol’ dame of death. At this point, our eyes were popping out of our heads — there was so much to see, in every conceivable space! Even the carved dining chairs and chandeliers were Mexican works of art. 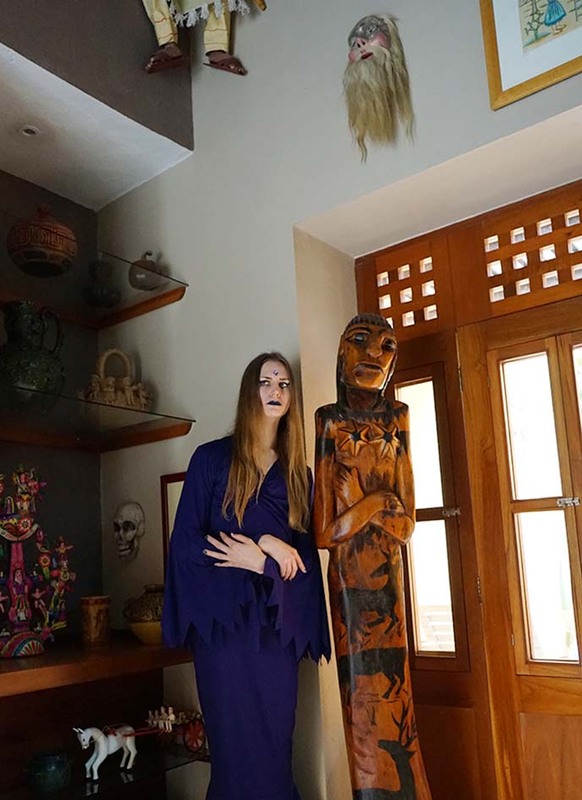 You’d think that a Goth lived here, with all the skulls and bones. The corner table had a surreal display. I want that monkey for myself. 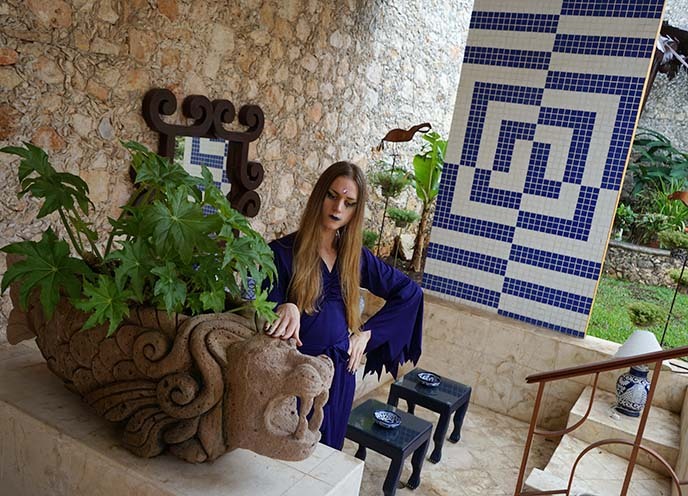 These photos show only a fraction of Casa de los Venados. 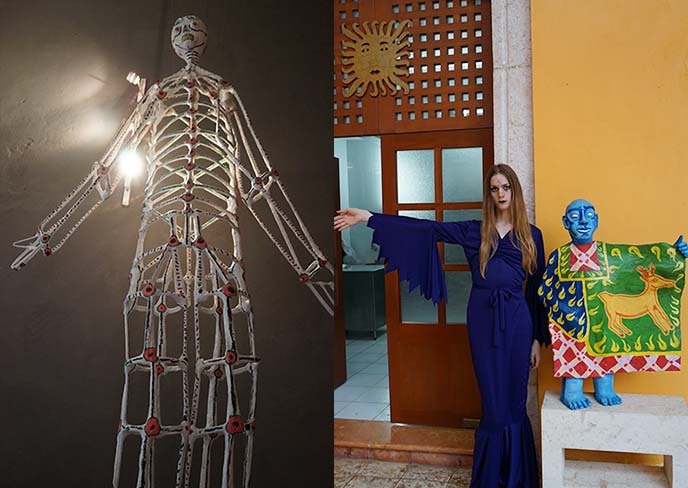 I encourage you to visit the Valladolid folk art museum, and see the rest. Muchas gracias Loco Gringo for being the perfect local guides! 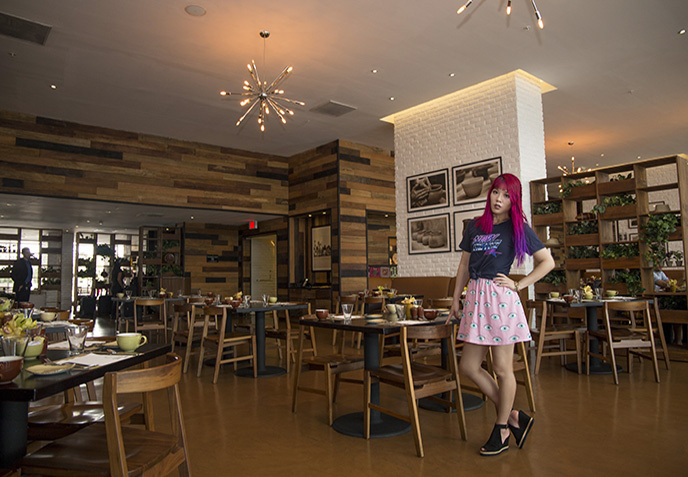 We’re not exactly “regular tourists,” and would have been bored with a cookie cutter tour. But Loco Gringo took the time to learn about us, and tailored the itinerary to our dark fascinations. We hope you’ll reach out to them if you visit Tulum, Riviera Maya and Cancun, Mexico. 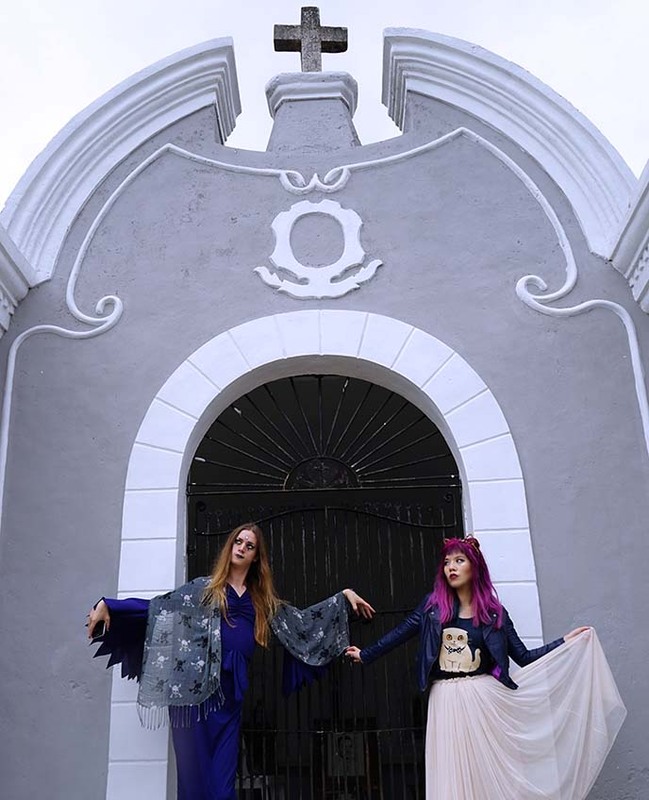 Do you share our fascination with Day of the Dead? 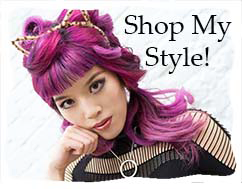 Have you ever dressed up and celebrated it?